Darren Ashurst, who beat and strangled Appley Bridge schoolgirl Louise Sellars to death in 1995, has been moved to a lower category of prison, was being allowed an escorted town visit this month and has applied for parole. The developments were revealed by the victim’s mother Elaine as she marked what would have been her daughter’s 38th birthday. It was case that took five years to crack and it was only after a cold case review led by future Greater Manchester Police Assistant Chief Constable Ian Seabridge that Ashurst, who had been prime suspect from early on, was finally nailed by DNA found on a cigarette stub found near his 15-year-old victim’s body. 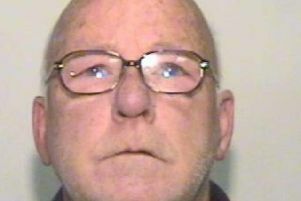 A jury of nine men and three women took 26 hours to find him guilty of Louise’s brutal murder, delivering their verdict at Manchester Crown Court on November 1, 2000. And Ashurst has been in prison ever since. While on remand, awaiting trial he was attacked by fellow inmates at Forest Bank Prison. He would later testify against them, saying that they had accused him of being a “nonce”. Louise’s death left an indelible mark on her mum Elaine and adoptive dad Gary who eventually split after the trial, the latter admitting that the long trauma had left him with psychiatric problems. Elaine is now living in Chorley. And she took to social media this week to vent her anger at news that her daughter’s murderer could soon be free. She wrote: “Over the last few weeks I have learned that the monster Darren Ashurst who took Louise’s life has been moved to an open prison because of his exemplary behaviour! “This is the first step for him to being released back into our community. “I received a letter yesterday to say he has made an application for parole and he has been granted an escorted town visit this month! “I knew at some point I would have to face this. “I’ve also been informed that to this day he has still not admitted his guilt or shown any remorse. Apparently the law has changed and you no longer have to admit your guilt to be eligible for parole. “This is where our justice system is so wrong. If you are proven without any shadow of a doubt that you have cold-bloodedly taken another person’s life, then you should forfeit your own. “Unfortunately we don’t condone capital punishment in this country anymore, but when you’re sentenced to life incarceration then that’s what it should be; end of. Opening her heart about her daughter, Elaine wrote: “Birthday memories of my precious beautiful girl Louise on what would have been your 38th birthday. “With every year that goes by, my heart aches for you, for your beauty, your energy, your laugh, your kindness, your sparkle, your love, and that engaging smile that would light up a room. “Time is no healer. It’s just more time without you. How I wish we could be celebrating this day together instead of laying flowers on your grave.